Tito Ortiz is ready to step back in the Octagon. He will have a tough test ahead of him when he does, as he has agreed to face Ryan Bader at UFC 132 in July. Sources close to the fight confirmed the bout to MMAWeekly.com on Monday. 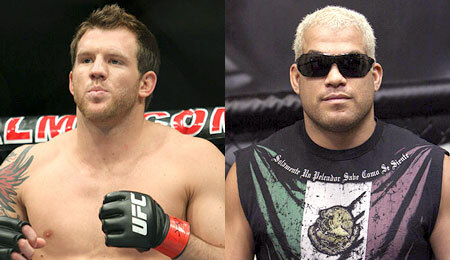 Tito Ortiz (15-8-1) will not only be fighting Ryan Bader in July, he will literally be fighting for his UFC career. The former light heavyweight champion is currently on a three-fight losing streak, but UFC president Dana White said he would give him one more chance to prove himself, and this is it. Ortiz was set to face Antonio Rogerio Nogueira at UFC Fight Night 24 this weekend, but a training injury forced him out of he fight. Ryan Bader (12-1) steps back in action for the first time since suffering the lone loss of his MMA career, after being submitted by now light heavyweight champion Jon Jones. Prior to that loss, Bader had won five fights in a row in the UFC. He now looks to start a whole new streak when he faces Ortiz. The UFC 132 bout between Bader and Ortiz will be a featured fight on the Las Vegas card going down July 2, headlined by B.J. Penn and Jon Fitch in a welterweight showdown.